My name is Julia Mitford Child. 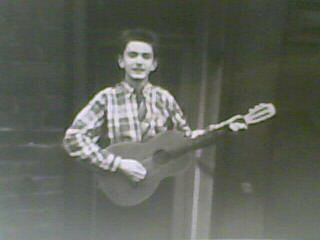 My dad, Wilf Mitford is a songwriter from the North East of England. I’m a librarian based in Sydney and spent the first 10 years of my library career as a Music Librarian. I’m also a singer, but didn’t managed to get the songwriting / composition gene sadly. Dad has been writing songs since he was a teenager. He started with pop tunes but really made his mark with his folk songs documenting important events in the North East and aspects of daily life. I’ve been keen to type up his songs so that they’re not lost, so figured I would kill two birds with one stone and do it as a blog! I hope you find this journey as interesting as I do. Mitford Music was the name of our record label when we recorded some of this music as a family band in the 1980s before Dad became too unwell to work and continue his professional music ventures. I’ll talk more about the adventures of ‘Concordia’, ‘The Mitford Family’ and ‘Mitford Music’ as the blog develops so stay tuned.